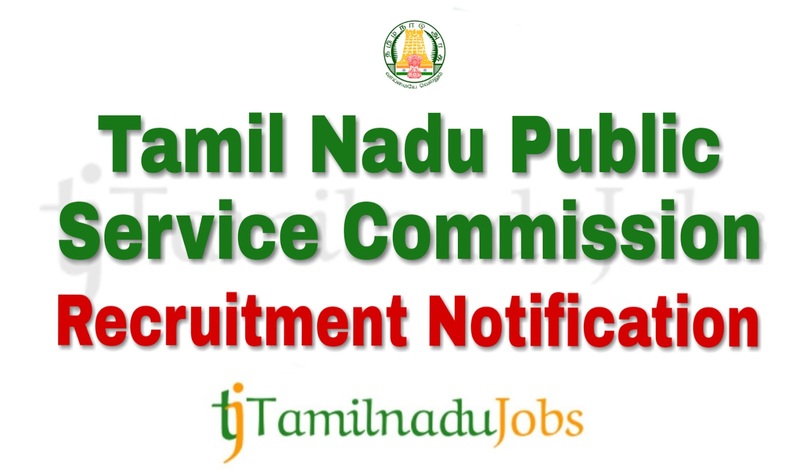 TNPSC Recruitment 2018: Good news for the Aspirants looking for job in Tamilnadu State government, now Tamil Nadu Public Service Commission (TNPSC) published an official notification for 29 post to fill the Librarian in various Department, job location in Tamilnadu. Candidates must go through the official TNPSC recruitment notification thoroughly before apply for Librarian in various Department Vacancy. TNPSC job application is collected through Online mode only. Applicant meet the eligibility norms of TNPSC Recruitment only apply for the Librarian in various Department. Tn govt jobs 2018-2019: Aspirants has a golden opportunity in the TNPSC. Applications are invited to the Librarian in various Department in Tamil Nadu Public Service Commission (TNPSC). aspirants can apply by Online, application forms is available online from 14-11-2018 to 16-12-2018 to the TNPSC latest job notification 2018. The Aspirants are requested to read some basic information about the TNPSC notification 2018 like eligibility criteria, age limit, selection process and more given below. Before apply, candidates are requested to read the official notification of TNPSC Recruitment 2018 for more detail and correct information in their official website(http://www.tnpsc.gov.in). In the recent Recruitment Notification, the following vacancy details given by the TNPSC and aspirants should go through the vacancy details and eligibility details for more detail in notification link given below before applying for Librarian in various Department. Vacancy details of TNPSC recruitment is given below. Here we give only the education and age limit criteria for the TNPSC Recruitment notification 2018. For more Librarian in various Department detail eligibility details like physical fitness and more read official notification. Before apply for Librarian in various Department job, candidates must go through the eligibility details in official notification of TNPSC recruitment Librarian in various Department. Librarian Grade-I: Must have a degree in Arts or Science or Commerce from University recognized by the University Grants Commission and Must have a degree in Library Science from any University recognized by the University Grants Commission, or from a recognized Institution or Board and must have practical experience in cataloguing and abstracting in a library connected with any recognized education and scientific institution or industrial for a period of not less than two years. Librarian and Information Assistant Grade-I and Grade II: must have Bachelor’s Degree of a University recognized by the University Grants Commission and must have Bachelor’s Degree or Master Degree in Library Science or Library and Information Science of a University recognized by the University Grants Commission. Aspirants who want to apply for TNPSC 2018,must attain the following age limits given by Tamil Nadu Public Service Commission (TNPSC). Given Age attained aspirants can only apply for the TNPSC job. Aspirant apply for Librarian Grade-I in Industries and Commerce Department, 18 yrs is minimum age limit and no maximum age limit for Sc, SC(A), ST, MBC/DC, BC, BCM and Destitute widows of all castes, 35 yrs is maximum age limit for others and Apply for other librarian, 18 yrs is minimum age limit for Sc, SC(A), ST, MBC/DC, BC, BCM and Destitute widows of all castes, 30 yrs is maximum age limit for others as on 01-07-2018. For more detail and age relaxations check the official TNPSC notification link given below. The application fees for Tamil Nadu Public Service Commission (TNPSC) Librarian in various Department 2018 differ according to various categories. Aspirants will have to pay the application fees for TNPSC via Online modes only. The application fees details for TNPSC given below. Registration Fee is Rs.150( For One Time Registration) Note Aspirants who have already registered in One Time Registration system within the validity period of 5 years are exempted. Aspirants have to pass the following selection process given by Tamil Nadu Public Service Commission (TNPSC) to get Librarian in various Department job. For more detail and correct information check the official website of TNPSC. How to Apply TNPSC recruitment 2018 ? Step 2: First time apply for TNPSC recruitment 2018, Create One Time Registration(OTR) with the Registration fee of Rs.150 and it is valid for 5 years if you already register use you user id and password to login. Step 3: Fill the details required by TNPSC Librarian in various Department in the form. Step 5: Before submit the Librarian application check the details are correct, then press submit and pay Examination fee. 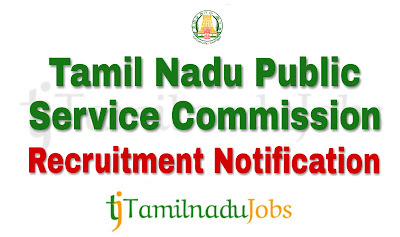 Tamil Nadu Public Service Commission (TNPSC) is announced the recruitment for the Librarian in various Department to full fill their 29 posts. Aspirants can check the salary details for the Librarian in various Department in TNPSC.